Discover more fun under the sun on the South Carolina coast. 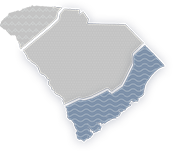 From the Grand Strand to Hilton Head Island, the coastal region of the Palmetto State is filled with sandy white beaches, historic cities, fresh-off-the-boat seafood and world-class golf courses. 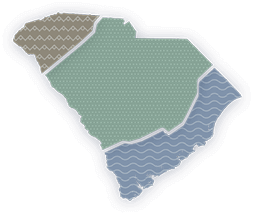 From the sandy white beaches and world-class golf courses to the beautiful state parks and scenic nature trails, the South Carolina coast has something exciting for everyone. Take the family on a seaside vacation to one of the East Coast’s oldest summer resort destinations, Pawleys Island. From relaxing on the beach to crabbing off the docks, Pawleys Island is one trip you won’t forget. From casting a line from the pier to learning the craft of crabbing, there are many fun and unique ways to go fishing in South Carolina. Just nine miles from Charleston, Folly Beach is the perfect escape for the entire family. From relaxing on the sandy white beaches to surfing some of the biggest waves on the East Coast, Folly Beach has something to keep everyone entertained.